Green Day IN American Idiot! Have you heard the screaming yet? 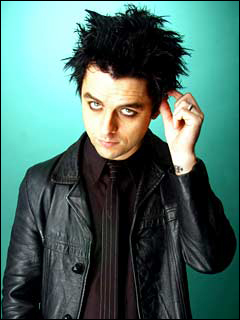 Billy Joe Armstrong (lead singer of Green Day) will be playing St. Jimmy in American Idiot on Broadway this week ONLY! It's his first time performing on Broadway, but definitely not his first time singing these songs in front of a cheering crowd. Do you think that's a good idea? Bad idea? Are you excited or appalled? Tell us in the comments!